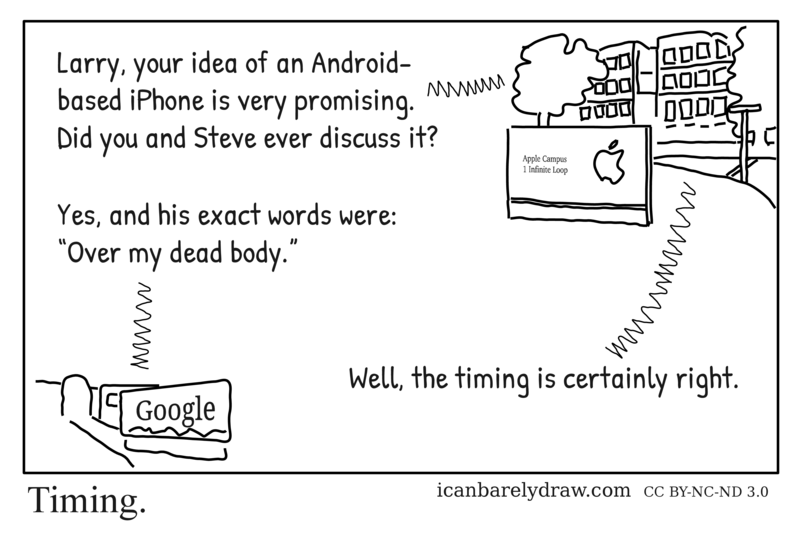 Voice from Apple Building: Larry, an Android-based iPhone sounds very promising. 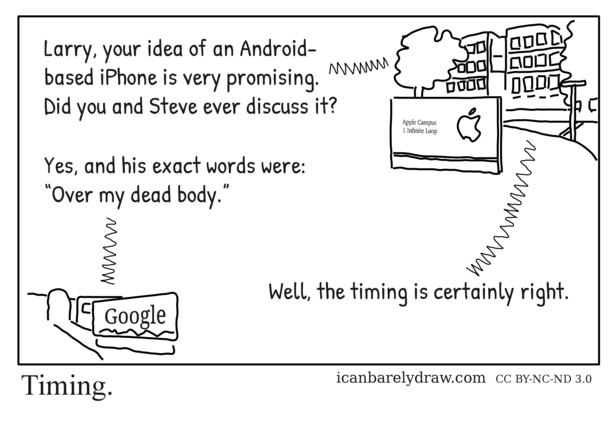 Did you and Steve ever discuss it? Voice from Apple Building: Well, the timing is certainly right.